Valentine Fear Tickets on SALE NOW! Valentine Fear Experience Saturday February 9th, 2019 ONLY! For generations, one of the most recognizable symbols of Love has been Cupid, the winged child carrying a bow and a quiver of arrows whose wounds inspired love or passion in his every victim. Cupid, could be considered as the original Matchmaker! However, as with anything good and pure, there is always evil lurking and waiting to corrupt it. Cupid, the legendary icon has met his doom at the hands of a dark entity, an evil spirit released from the Underworld has been sent to kill Cupid, replacing him to sow the seeds of discord. But instead of leading people to everlasting love and happiness, the entity would lead lovestruck people into relationships full of pain and relentless torment! As another means to dishonor Cupid, the entity would go by his earthly name of “The Matchmaker”. This year, the legendary Bennett’s Curse Haunted House will open its doors for a special event where in addition to our full cast of chilling characters, you will come face to face with The Matchmaker, the malevolent spirit successor to Cupid, along with introducing for this special Valentine’s event, several other never before seen creatures inhabiting the dark halls and passageways of Bennett’s Curse, one of America’s best and scariest haunted house Attractions. Haunted Houses are not just for the fall season anymore! 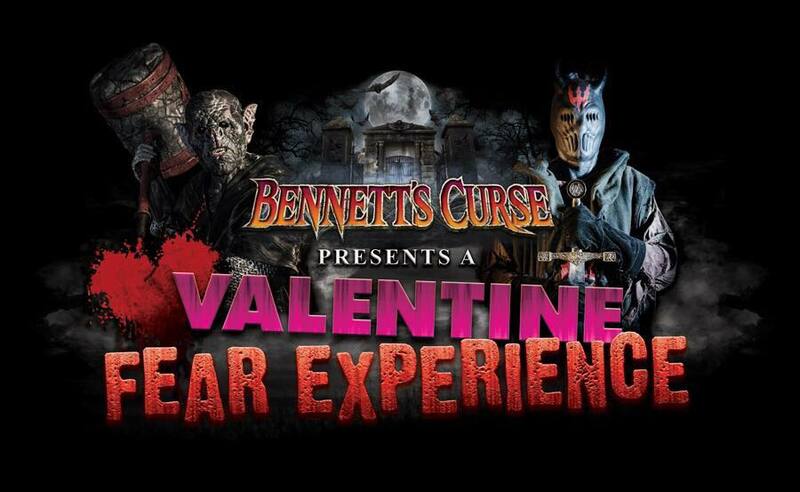 Try something different this year with your family and friends, or with your special sweetheart, and experience your BEST DATE NIGHT EVER at Bennett’s Curse Valentine’s Experience! And one last thing, The Matchmaker has hidden the rotting corpse of Cupid somewhere inside Bennett’s Curse Haunted House, see if you can find him and you can win a special Bennett’s Curse Prize! Bennett’s Curse Haunted House is a locally owned and operated small family business. No other Haunted House in the area has been consistently ranked, rated or featured on national TV as much as Bennett’s Curse Haunted House Baltimore, MD. What you see advertised on our website, in our videos and on all our social media pages is what you see inside the haunted house! #1 Reason- WE ARE SCARY! 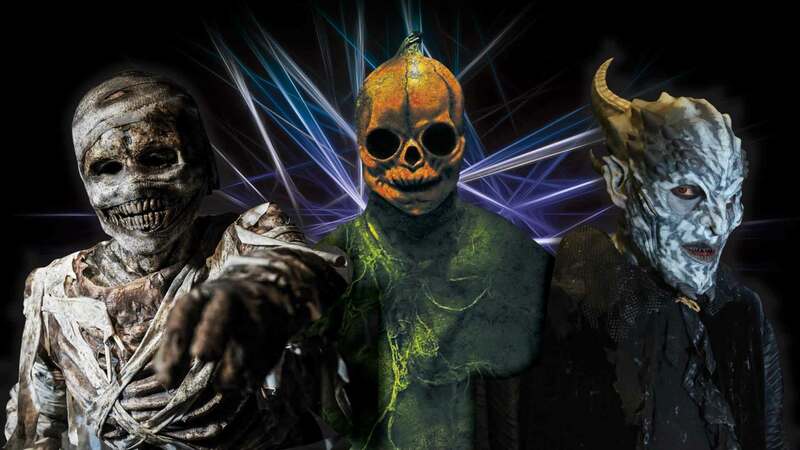 Bennett’s Curse Themed attractions includes Innovative Interactive Special Event Experiences which are included in the admission to all of our attractions. Want to BE A MONSTER for Valentine Fear Experience ? Bennett’s Curse Haunted House in Baltimore Maryland would like you to become part of our Scream Team. Please send an email to [email protected] to get more information on becoming an actor at Bennett’s Curse Haunted House. Use Entrance #6 behind Gabe’s. Cash Only at the Box Office.